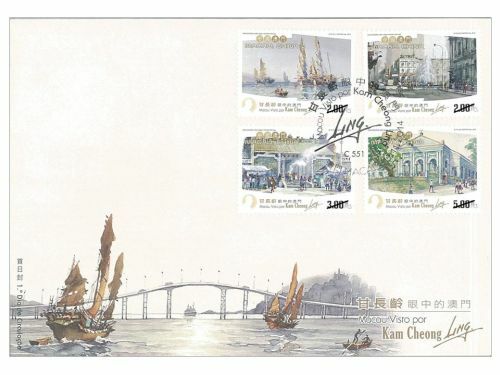 Kam Cheong Ling was born in Hong Kong in 1911. After moving to Macao in the 50s of the last century, he engaged in Art Design, Art Creation and Art Education. 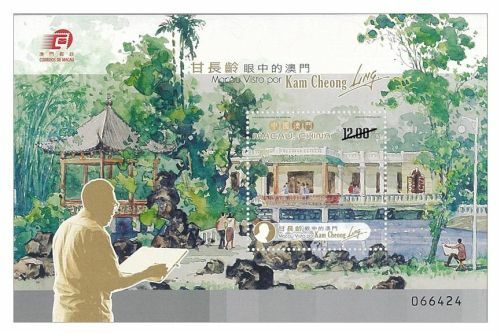 Kam Cheong Ling was skillful in watercolor painting, his works had recorded the vast changes in Macao society of the past, and its transformations as time goes by. 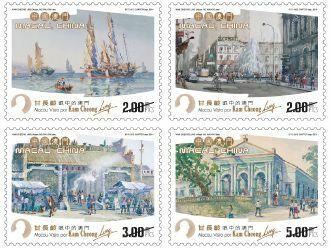 His works are not only high in artistic value, but also the evocative “Historical Paintings of Macao”. 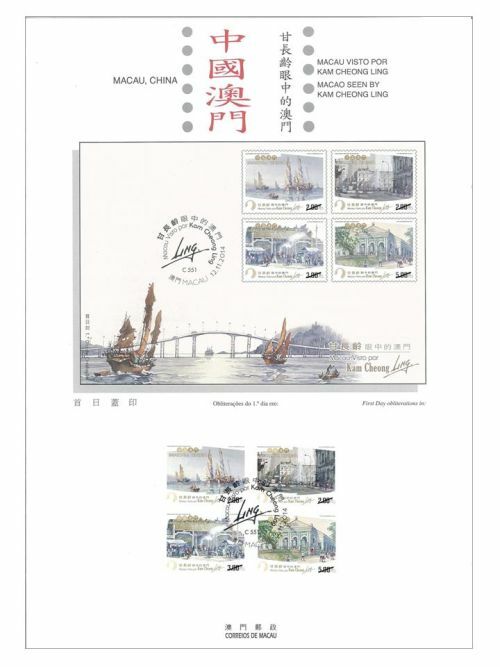 Macao Post will issue the stamp theme “Macao Seen by Kam Cheong Ling” on 12th November, 2014. 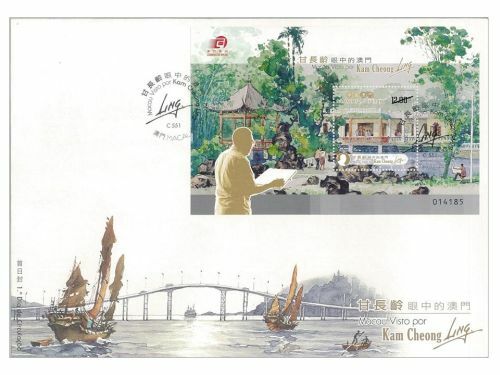 Through the issue of stamp by promoting the landscapes of Macao, and also paying tribute to him for his pioneering contribution in the promotion of arts activities in Macao. 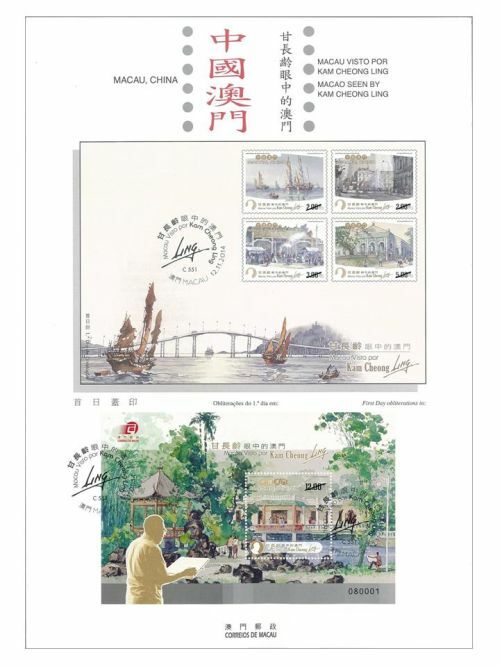 This issue includes a set of four stamps and one souvenir sheet, which paintings are part of the most representative works of Kam Cheong Ling. 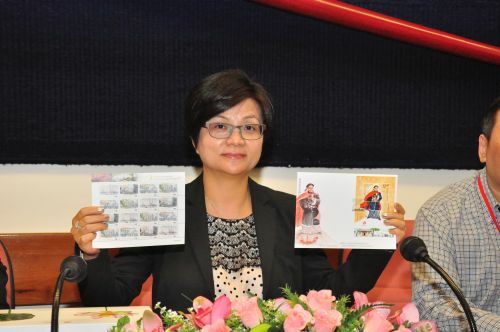 The composition of the stamp design and the text of the information brochure are come from Mr. Ng Wai Kin. This is the eleventh issue in 2014. The previous issued stamps are “Lunar Year of the Horse” on 03/01/2014, “140th Anniversary of Conde de São Januário General Hospital” on 06/01/2014, the label stamp “Lunar Year of the Horse” on 14/02/2014, “130th Anniversary of Macao Post” on 01/03/2014, “Animal Protection” on 28/04/2014, “Literature and its Characters – The Outlaws of the Marsh II” on 26/06/2014, “The New Campus of the University of Macau” on 05/09/2014, “Science and Technology – Magic Squares I” on 09/10/2014 and “General Post Office Building” on 01/11/2014. 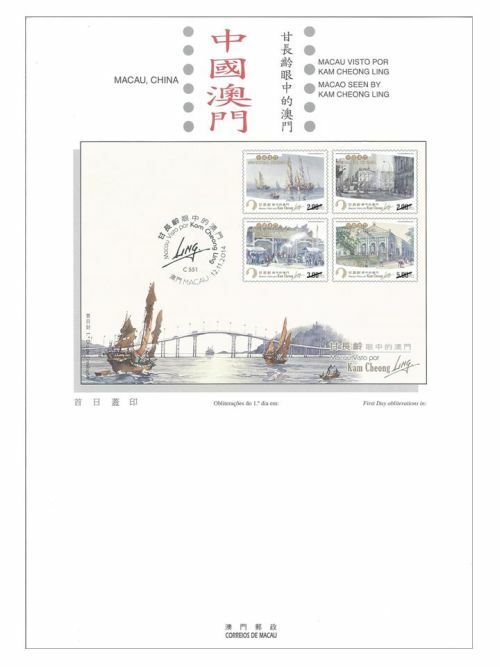 The stamp “Museums and their Collections IV – Lin Zexu Memorial Museum of Macao” to be issued on 05/11/2014. 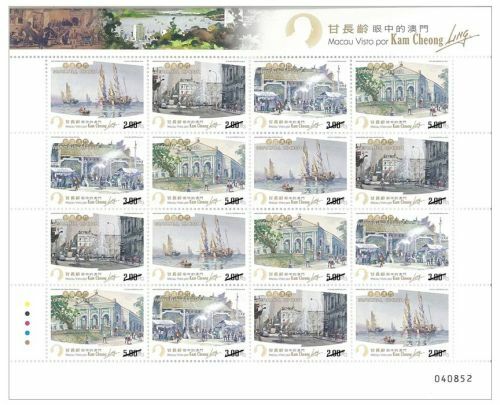 Technical Data of Stamp "MACAO SEEN BY KAM CHEONG LING"